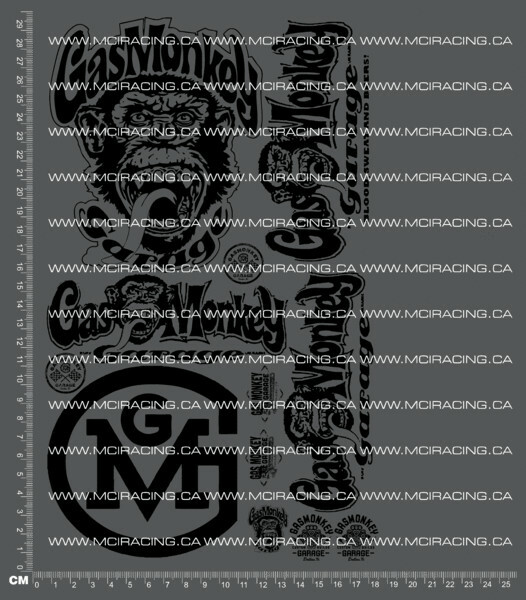 This is an updated v2 sheet of replica Gas Monkey Garage decals). Sheet measures approximately 8x11" and comes printed in full color over clear 3m vinyl. This product was added to our catalog on 04/14/2017.